This outfit is being sold in the Gizza store at Vintage Fair 2011. You can find a map and SURL to all participating brands in this page. 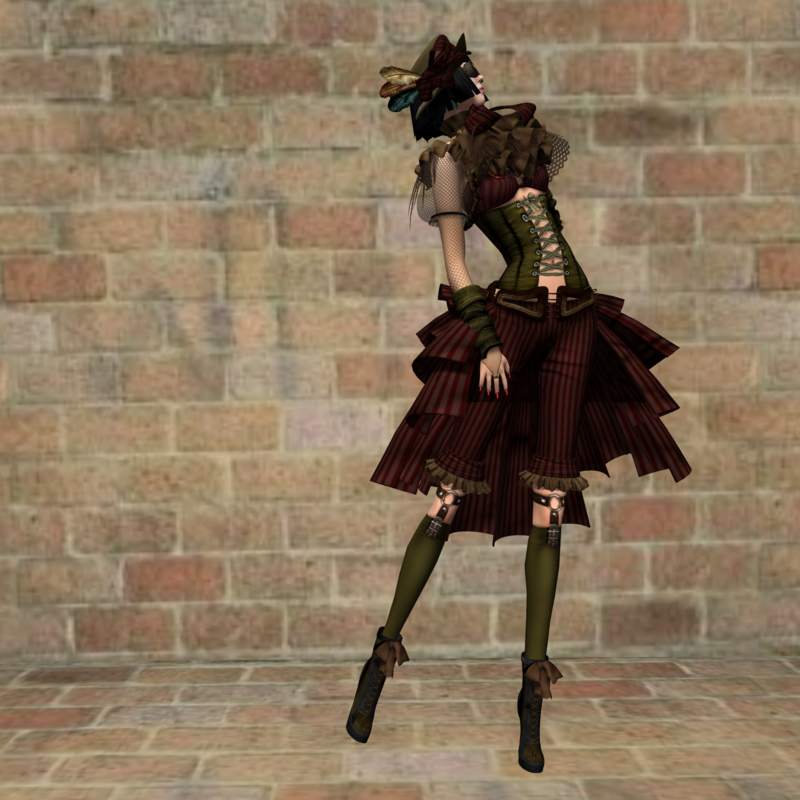 Gizza just released a fun outfit for both ladies and gentlemen called “Steampunk“. Here I am wearing the female version of “Steampunk” that comes with a hat, goggle and even a pair of ankle boots! So all you really need to complete the look is skin and hair. Of course, you can add earrings but with the ruffle in the front and gloves, you really don’t even need any necklace or bracelet. I loved this colour combination too. This entry was posted in casual, new release, SL model and tagged Ankle boots, casual, Elegance Hat, fun outfits, Gizza, goggles, Kay Fairey, new release, second life, sl fashion, SL model, Steam punk, Steampunk by Kay Fairey. Bookmark the permalink.